The book that got me hooked on collecting!!!!! 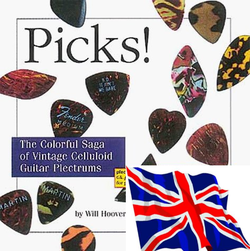 This is THE pick collector's bible - an absolute MUST HAVE! There are some absolutely amazing picks in here, old and modern. You'll be hooked too once you've read this!! USA link on left, UK link on right! The only other book dedicated to picks!!! Very rare - only 250 printed! Grab a copy while there are still some left! 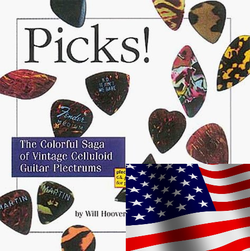 Includes FABULOUS COLOR PHOTOS of over 200 picks featuring Artist/Band picks and NEARLY 2000 GUITAR PICKS identified from the 1980's and earlier. 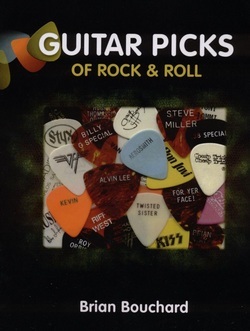 Special sections throughout the book, including Guitar Pick Value and Insuring Your Collection, Counterfeit Guitar Picks, as well as Displaying, Storing and Caring for Your Picks. Les Paul fans must visit here!!! Great Les Paul exhibit. Click on the photo to go to their website. Annie's Picks - an amazing collection of interesting picks! These Pickbay necklaces are just SO cool! I want one!!! You can insert up to 3 picks so never be without a pick again. They come in different finishes, chrome, gold, sterling silver etc. Beautiful! 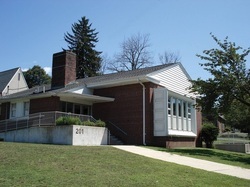 Thanks to D.A. Arlaus for all your support!